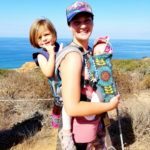 San Dieguito County Park has it all! There are two entrances to this park. The upper lot off Highland Drive is a more traditional park with a playground and ball field. The lower lot off El Camino Real has two small ponds, a butterfly garden, lots of open grass, wooded areas, and dried creek to explore in. 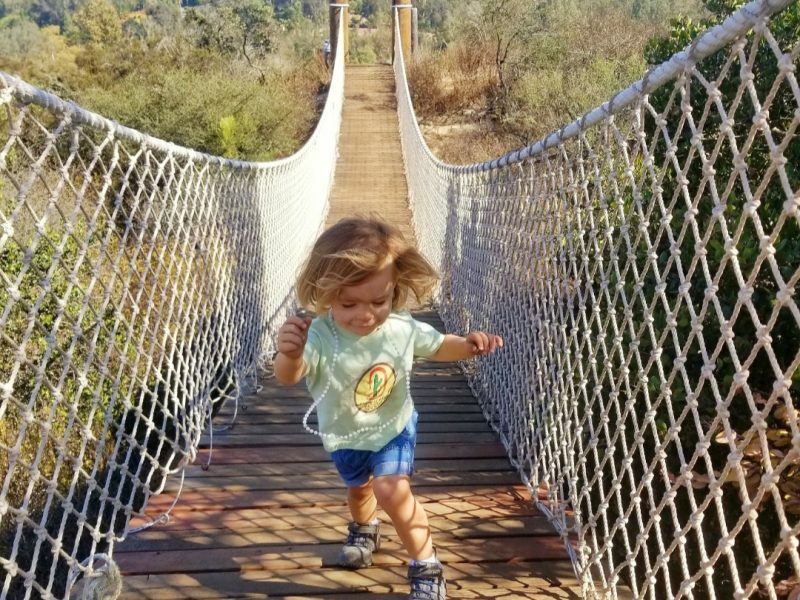 Between the two entrances in the middle of the park has many different dirt trails, look out areas, and a few very fun rope bridges! You could easily spend the whole day at this fun park. 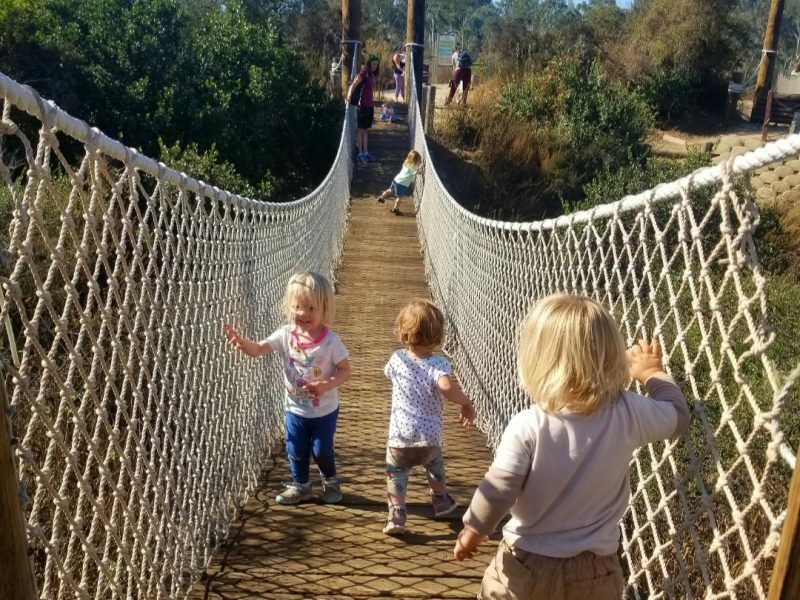 To get to the popular rope bridges: Starting from the lower parking lot, enter the park and pass the two ponds. You will see a large grass area to your right, go through the grass and back toward the trees. There you will find a trailhead. Take the trail and keep going until you get to a big intersection on your left, take that trail. Keep going until you reach a fork and take the right fork. Soon you will reach the bridges. If you want to see more, at the top near the bridges there are three main trails. The one behind you will go back to the grass field you entered from, the one on the left will head to the Overlook which is really fun. If you take the right fork, continue on that until you reach another fork. Going left will take you to the lower park of the park. Once you reach the road turn left to head back to your car. If you take the fork to the right it will take you to the upper part of the park. Restrooms: There are a few throughout the park. 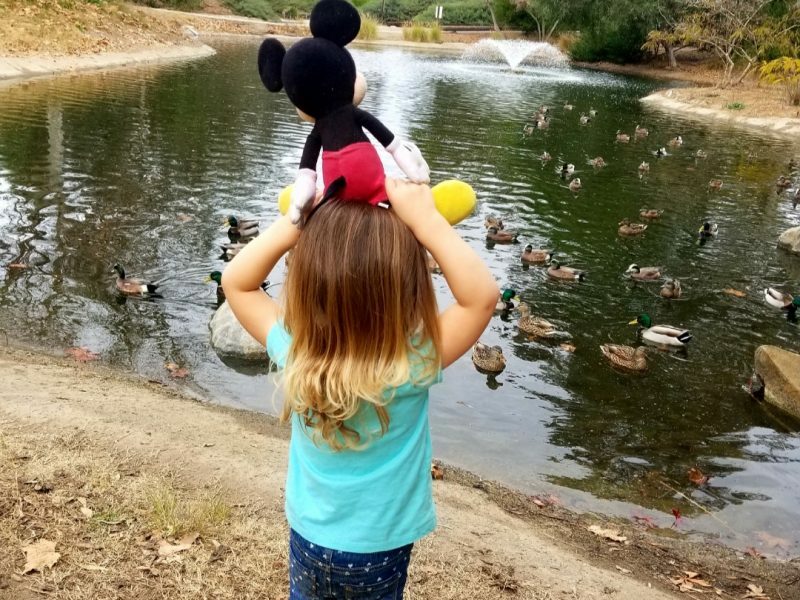 Fun for the whole family with duck ponds, playgrounds, butterfly garden, rope bridges, nature exploration, and much more! Both upper and lower entrances charge a fee to enter, however there is free street parking right outside both entrances.